The UBC Himalaya program is working to build an interdisciplinary hub for sharing knowledge about the Himalayan region. 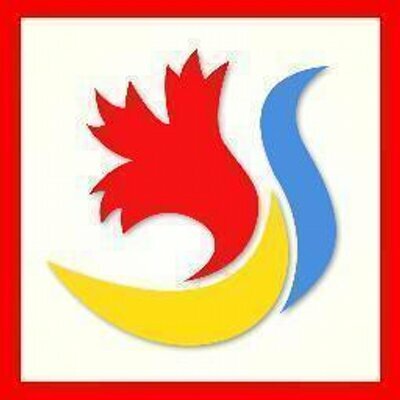 This page provides a curated list of community organizations, businesses, NGOs & charities, arts & culture, and religious sites related to the Himalayan community in the Lower Mainland. 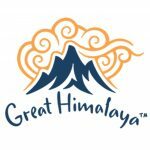 This listing is intended as a resource for anyone interested in the Himalayas to network, connect, and learn, by engaging with the Himalayan community in Metro Vancouver. This is a dynamic resource, which we hope will grow and change over time. If you have any suggestions or have an organization or business that you would like to be listed here, please email himalaya.arts@ubc.ca. The Museum of Anthropology (MOA) at the University of British Columbia is located on the traditional, ancestral, unceded territory of the Musqueam First Nation, one of Canada’s Indigenous peoples. MOA is internationally renowned for its Pacific Northwest Coast First Nations collection and is perhaps less known as a museum of world arts and cultures. The ethnographic collections consist of about 45,000 items from around the world (as of 2016). The Asian collection contains over 18,000 items, which makes up about forty percent of the total holdings, and is the largest collection at the museum. Highlights of this rich, eclectic Asian collection include one of the world’s largest collections of Cantonese opera costumes, Japanese woodblock ukiyo-e and Indian calendar prints, bronze figures from Nepal and an extensive collection of textiles including magnificent Tibetan robes. The collection also contains a wide range of ceramics, masks, and puppets. MOA has approximately 150 Tibetan items and 80 Nepali items in its Asian collection and also has a large collection of historical photographs in its archival collection including photographs taken in Tibet in in the early twentieth century. 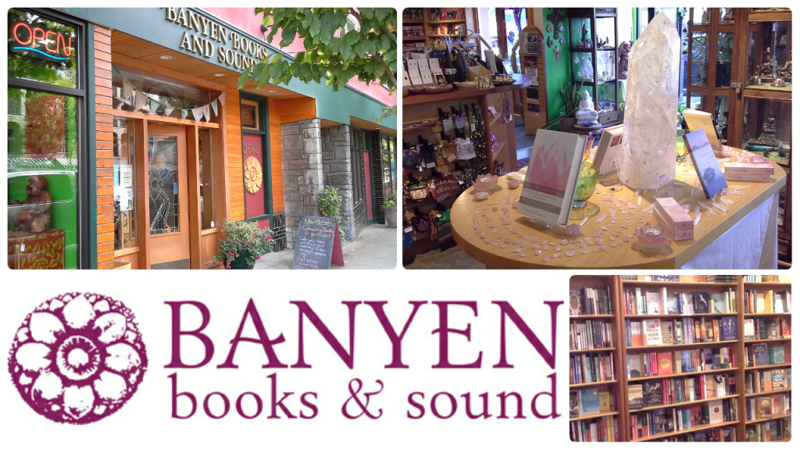 Independently owned and based in Kitsilano since 1970, Banyen Books & Sound is an oasis, a crossroads, a meeting place of East and West, "old ways" and current discoveries. Canada's most comprehensive metaphysical bookstore, we offer a broad spectrum of resources and tools for conscious living, visioning, and personal growth inspired by humanity's spiritual, healing, and earth wisdom traditions. Pull up a comfy chair and stay for a while, or browse online. You are welcome here. Banyen has a large selection of books, statues and incense related to practices from the Himalayas. We host free informative and inspirational presentations in the store on a regular basis - see our Events page for the full schedule. Great Himalaya Foods produces simple, nutritious, and authentic Tsampa, a traditional Tibetan cereal made from Barley. This socially and environmentally friendly business was founded by sisters Namlha and Tsezom Yuthok, and their friend Bev Komori. The sisters are Tibetan, but were born in exile in India. They now call Vancouver home. In addition to bringing healthy, quintessentially Tibetan food North American tables, Great Himalaya Foods helps Tibetan refugees in India by donating a portion of its proceeds to non-profit charitable organizations that serve the needs of Tibetan refugee settlements. Our mission at Paranada Traders is to produce or buy quality natural fabric products in a sustainable way while paying a reasonable wage. They prefer to work directly with small Indian, Nepali, Tibetan producers, and to contribute product innovation and some bonuses for the employees. Come and see yourself at Paranada Traders at 1505 Commercial Drive. Yak & Yeti Bistro serves high-altitude cuisine primarily from Nepal, Tibet, and India. Named for the large Himalayan-dwelling animal known for its strength and endurance (Yak), and the mysterious giant snowman (Yeti), this cozy neighbourhood eatery serves up bold dishes showcasing a unique range of flavours. The Himalaya Program and our guests have enjoyed many wonderful meals at Yak & Yeti. We are always impressed by their delicious food and Nepali hospitality. The Nepal Cultural Society of British Columbia (NCSBC) was founded in 1988 with the goal of promoting Nepali culture, fostering a sense of community among Nepali people in British Columbia, and providing support for new immigrants from Nepal. They organize interactive forums and summer language classes, as well as hosting celebrations for Dashain, Tihar, New Years, and other multicultural events. The NCSBC is an important Himalaya Program partner and has been instrumental in building this program from the beginning. The NCSBC was actively involved in the design of the Language Partner Program and assisted with the recruitment of teachers for the Nepali language classes. Their engagement has enhanced the success of Himalaya Program events, and the community has served as an important local resource in all stages of the Program's development. Community partnerships are a cornerstone of the Himalaya Program's model, so we are thrilled to have the opportunity to collaborate with the NCSBC. The Tibetan Cultural Society of British Columbia (TCSBC) works to preserve Tibetan culture and heritage within the Tibetan community, as well as fostering an understanding of Tibetan culture by sharing it with others. The organization holds cultural, educational, and religious programming, events and celebrations throughout the year to promote Tibetan culture with an aim to sustain a Tibetan community hub in BC. In 2010, following an appeal by His Holiness the Dalai Lama, the Government of Canada announced that they would facilitate the immigration of up to 1,000 Tibetans living in the Indian State of Arunachal Pradesh. As a result, in addition to their cultural programming, the TCSBC now operates as a settlement organization helping Tibetans resettle in the Greater Vancouver area. The TCSBC, like the NCSBC, is an important Himalaya Program partner. Consultation with the TCSBC was a fundamental step in developing the Language Partner Program, and it was through TCSBC networks that we were able to find a wonderful teacher for the Tibetan language course. The TCSBC's involvement in Himalaya Program events is key to their success, and the TCSBC input and engagement with the Program is vital to our function. Through our collaboration, the TCSBC and the Himalaya Program are bridging the divide between the community and the university. CaN Education Foundation is a not for profit organisation incorporated with BC Registry in 2011. We help children in grades K - 12. Public or community schools in Nepal lack resources and the pupils attending these schools often come from marginalised and/or underprivileged families. The Foundation is helping schools and students, to improve the teaching and learning environment. Students who are on the verge of dropping out of school are supported by this Foundation, which provides them with school uniforms, bags, shoes, and stationery. This support takes some burden off their parents' shoulders. Contact: Ratna Rai at info@caneducation.org or 778 552 3842. The Canada Tibet Committee (CTC) defends and promotes human rights and the democratic freedom of the Tibetan people. The CTC monitors developments inside Tibet and builds public awareness in Canada through its outreach activities. The CTC encourages support for Tibet from the Government of Canada. The CTC achieves its goals by engaging current foreign policy debates in Canada; meeting with parliamentarians and government officials; organizing policy seminars and cultural events; conducting research and publishing reports, and collaborating with like-minded organizations across Canada. Founded in Vancouver in 2005, The Dalai Lama Center for Peace and Education’s vision is compassionate children in a peaceful world. Our mission is to educate the hearts of children by informing, inspiring, and engaging the communities around them. While the Center is guided by the Dalai Lama’s vision for Twenty-First Century education, we are a non-religious, non-political charitable organization which brings together thought-leaders, educators and researchers from around the world to develop a Heart-Mind framework for formal education: one that balances educating both the heart and the mind. The Dalai Lama Center for Peace and Education works in close contact with UBC's Human Early Learning Partnership. The Nepali Heritage Charity Foundation's main objective is to enhance the quality of life in impoverished areas of Nepal by providing humanitarian assistance. They supply basic amenities to these communities including food, clothing and household items. In addition, they help build infrastructure that improves access to education, temporary shelter, gainful employment, and basic health care. The NHCF is a BC based, local Nepali community-led charity. The Project Tibet Society (PTS) is in the midst of a 5-year program to facilitate the immigration of 1,000 displaced Tibetans living in the state of Arunachal Pradesh, India following an appeal by His Holiness the Dalai Lama to the Canadian government in 2007. The PTS has worked diligently with Citizenship and Immigration Canada and the Home Department of the Central Tibetan Administration over the years, to implement this complex program. Displaced Tibetans are being settled in B.C., Calgary, Toronto, and Ottawa. The British Columbia Chapter of the PTS works closely with individual Canadians, faith groups, and most importantly the Tibetan Cultural Society of B.C. and the Tibetan community, to support the settlement of over 200 Tibetans in Metro Vancouver, Victoria, and the Sunshine Coast. The B.C. chapter of the PTS looks forward to establishing a relationship with the U.B.C. Himalaya Program to liaise with the Tibetan newcomers and wider Tibetan community we are supporting. The Trans-Himalayan Aid Society (TRAS), founded in 1962 as the Tibetan Refugee Aid Society, is a Vancouver-based charity that supports the health and education of children and youth in Nepal, northern India, and Tibet. TRAS follows a grassroots approach, working with partner organizations in the region who identify local needs, propose projects to meet those needs, and run the projects themselves; TRAS's role is to evaluate project proposals, provide funding, and monitor projects in progress. TRAS members also sponsor the education of individual children in the region. Contact: Joanne MacLeod, Office Manager at info@tras.ca region. 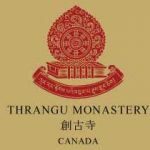 When Thrangu Monastery opened its doors in Richmond, it was the first traditional Tibetan Buddhist monastery in Canada. The Monastery was founded by the Venerable Lama Pema Tsewang, who was sent to Canada in 2003 by Thrangu Tulku Karma Lodrö Ringluk Maseng to establish a Dharma centre promoting the Buddhist teachings. The Monastery teaches the Karma Kagyu Lineage of Tibetan Buddhism. The Thrangu Monastery welcomes visits from tourists and local residents, religious and non-religious alike. Vancouver's Tsengdok Monastery was founded in 2006 through the dedication and hard work of the diasporic community in Vancouver. Spiritual practice at the Monastery provides support for new immigrants in the community. Tsengdok Rinpoche advocates Buddhist ideals of harmony and world peace. His followers carry forth the dharma through cultural activities, humanitarian projects, and the practice of group meditation to calm and purify the mind. The Monastery's shrine room includes shrines for Je Tsongkhapa and his spiritual sons, and contains many sacred statues and painted thangkas from Nepal and India. The Monastery is primarily used for spiritual practice, making offerings, and receiving blessings and purifications. They offer regular dharma courses and Tibetan Language Courses. The Monastery is open to the public.